HOUSTON (June 15, 2017) – Texas Gov. Greg Abbott signed Senate Bill 2118 on June 12 which allows the Texas Higher Education Coordinating Board to authorize certain public junior colleges to offer baccalaureate degree programs in the fields of applied science, applied technology and nursing. Lone Star College will develop proposals for a Bachelor of Science in Nursing and a Bachelor of Applied Technology (BAT) for approval by Texas Higher Education Coordinating Board (THECB) and the Texas Board of Nursing. The proposals will include details on the program and course delivery, along with details on existing articulation agreements, dual credit agreements, clinical capacity and faculty recruitment plans. The Institute of Medicine recommends a goal to have 80 percent of all nurses with a bachelor’s degree by 2020 in order to best prepare nurses to care for sicker patients and to use sophisticated new technologies. 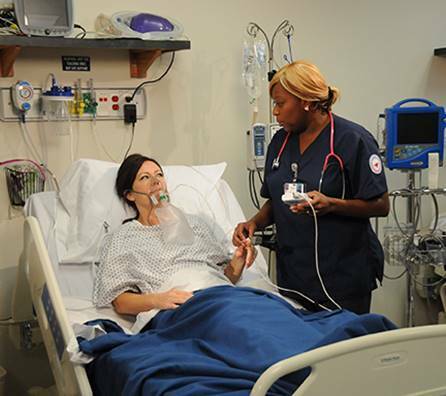 In the past five years, 2,040 LSC students earned an Associate Degree in Nursing. LSC is developing its RN to BSN program specifically for nurses who have completed their associate degree and subsequent RN licensure to advance their professional qualifications while continuing to live and work within the local Houston region. With SB 2118 becoming law – effective immediately – and once LSC has completed the required processes to implement its bachelor’s program, LSC nursing students can earn their BSN close to home and at a much lower tuition than at a 4-year school. LSC will also develop programs to offer BATs in welding, process technology, oil and gas, and cybersecurity to address serious skilled labor shortages in those fields. The BAT degree program is intended to provide individuals possessing strong technical expertise with the background skills required to help them become effective workplace managers. The timeline for starting the new bachelor’s programs at Lone Star College will depend on the approval process, said Head, although LSC already has the necessary facilities and faculty members in place today to offer both BATs and BSNs. In addition to state approvals, LSC must get program approval from its accreditation agency, the Commission on Colleges of the Southern Association of Colleges and Schools (SACS). “We are grateful for the tireless efforts of the legislators who made this bill a reality and look forward to this next chapter in our history of providing high-quality education to help keep our community prosperous,” said Head.